Santera telling my fortune using tarot cards, Havana. I had to pay ten dollars but Cubans normally pay one. 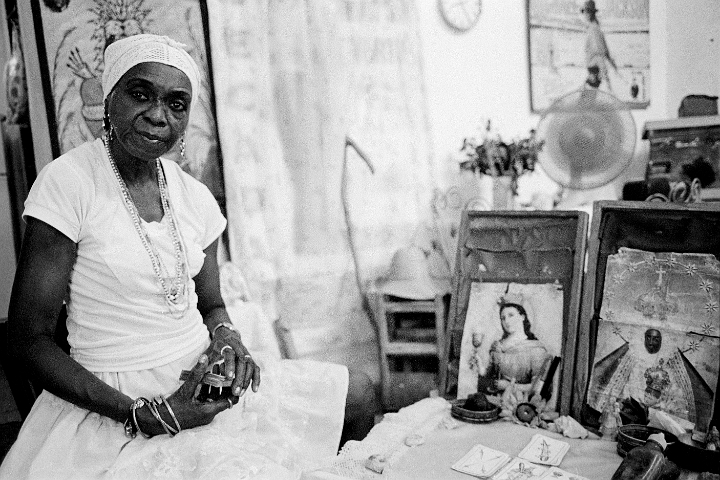 Santeria is an Afro-Caribbean religion based on West African beliefs and traditions, with some Roman Catholic elements added. The religion grew out of the slave trade in Cuba.